A UX design project that followed design thinking principles, from problem discovery, to UI design, through to user testing and iteration. 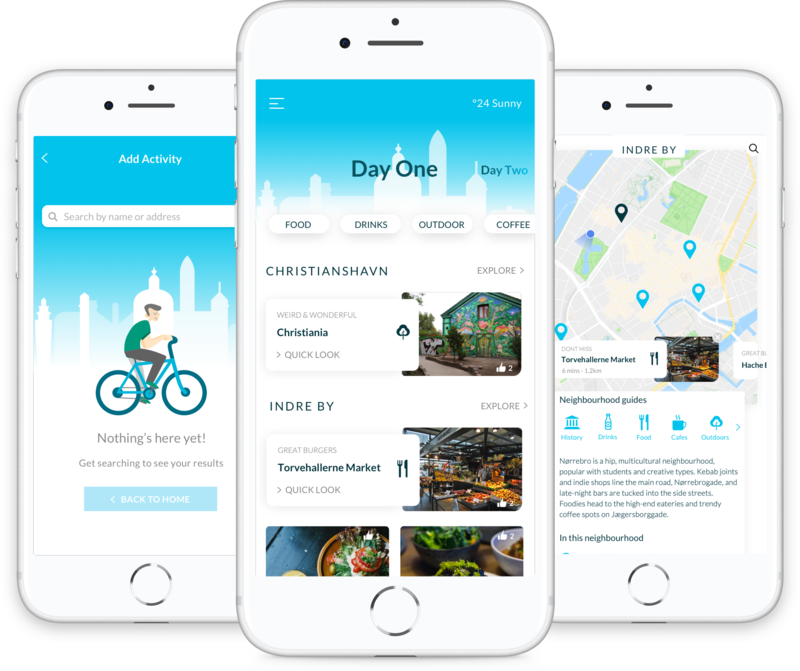 The end result was a mobile app that aims to provide 'smart' recommendations for things to do on a city break, based on travellers preferences, weather and local neighbourhoods. A mobile-first UX design process, from problem discovery through to UI design & hi-fidelity prototype testing. 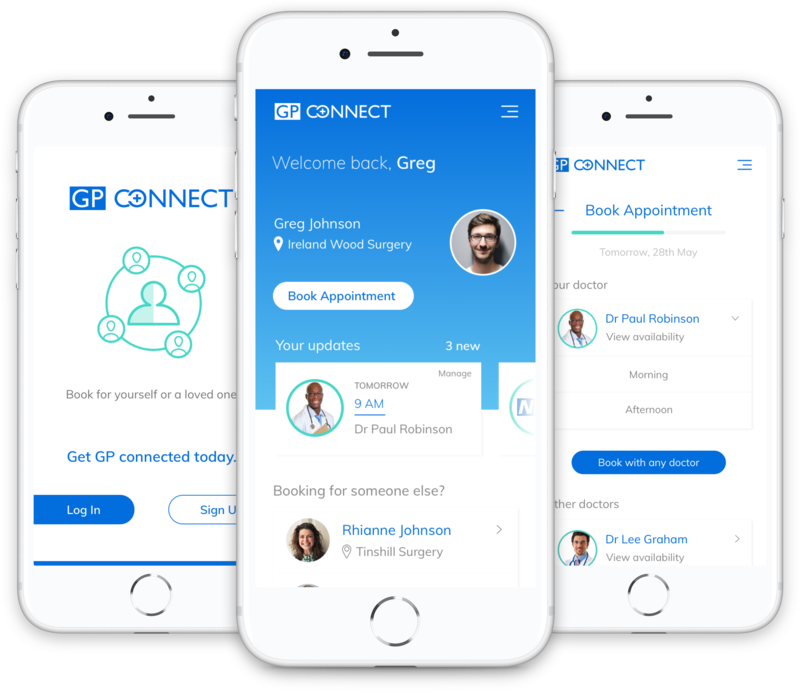 The resulting product was a mobile web app which allows users to book and manage appointments for themselves and / or other loved ones. 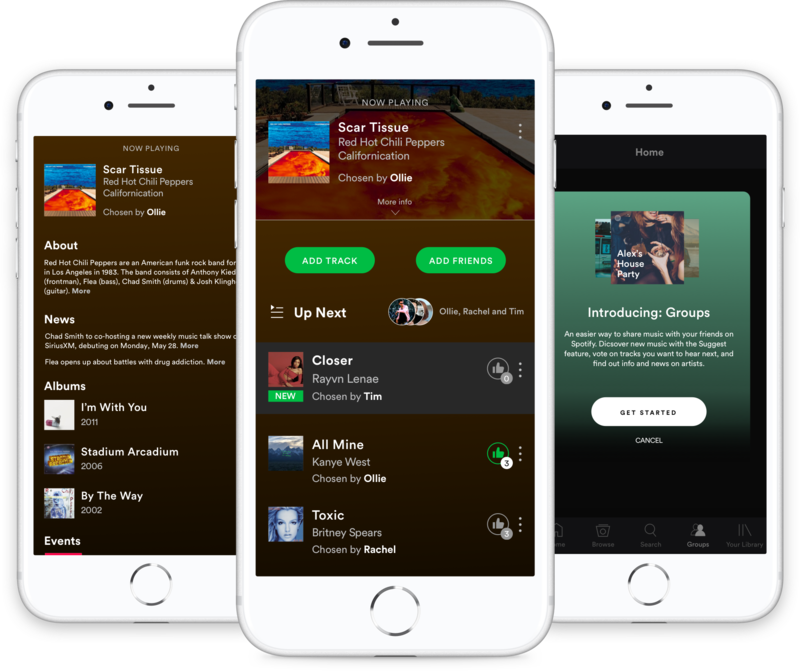 A research-focused, end-to-end UX design process to improve the music sharing experience on Spotify. The product created was 'Spotify Groups', which is focused on sharing music in person, giving users the ability to create groups with their friends, find out more about the artist playing, and vote on tracks to be played next. 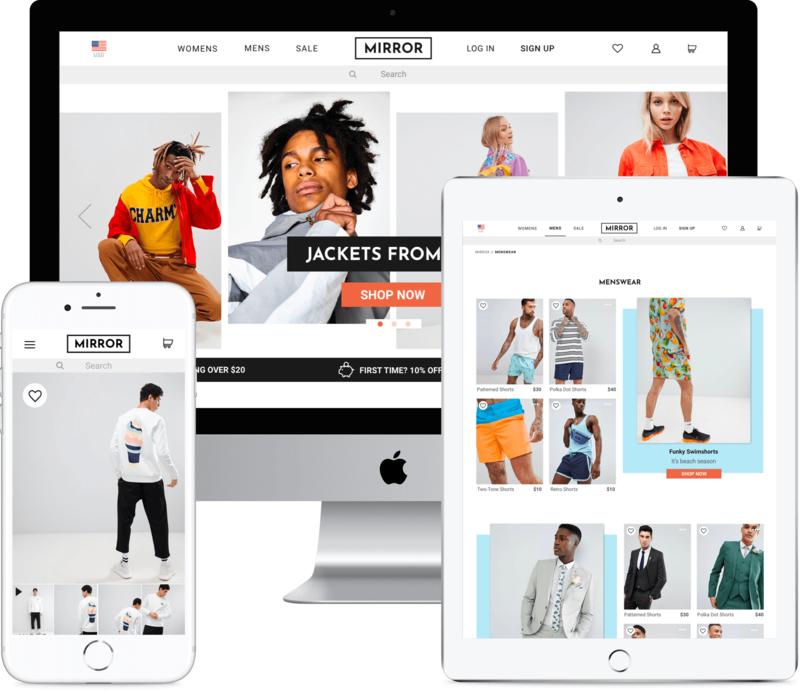 This was an end-to-end UX design project to deliver a responsive e-commerce site & logo design for a multi-national clothing retailer. The task was to improve the users online shopping experience across multiple devices based on insights and empathy gained from user research.